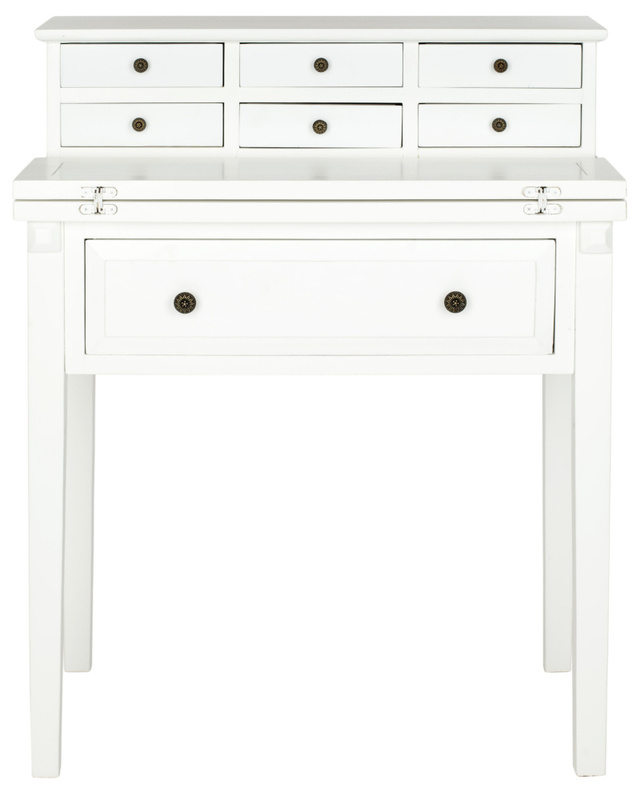 It's a long overdue post but it's finally time to do the grand reveal of my new vanity knobs! 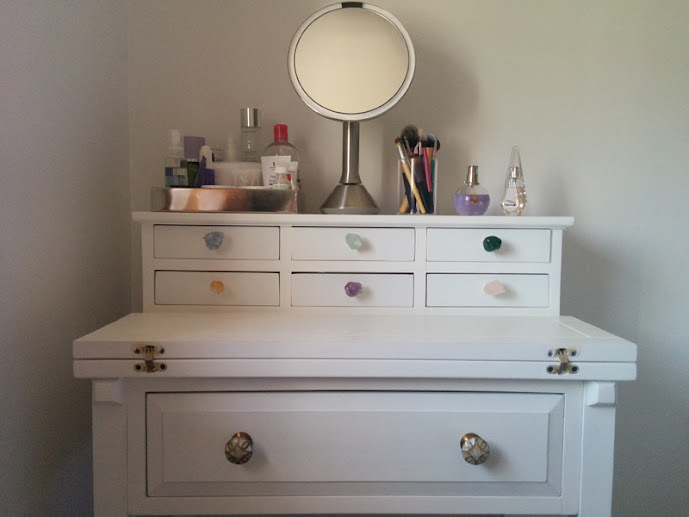 Just in case you hadn't read my DIY vanity makeover part 1, my plan was to replace the top six drawer knobs with DIY stone knobs and the bottom two knobs that had a vintage vibe. It was so easy and I love the finished look! 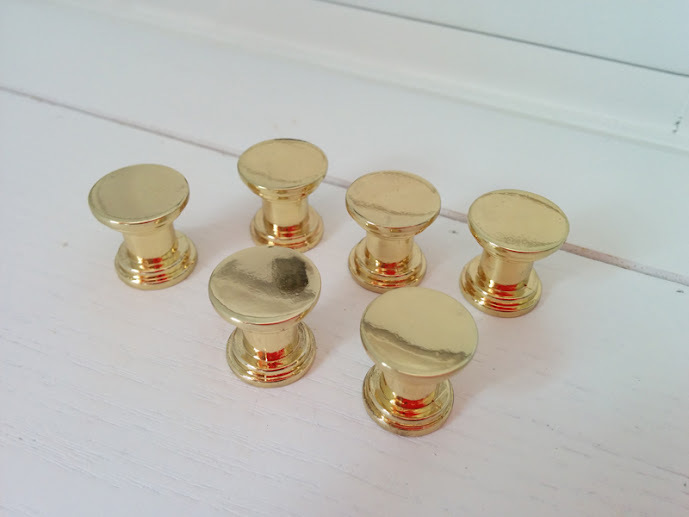 To find out how I made the knobs and to see the finished look, click through the jump! 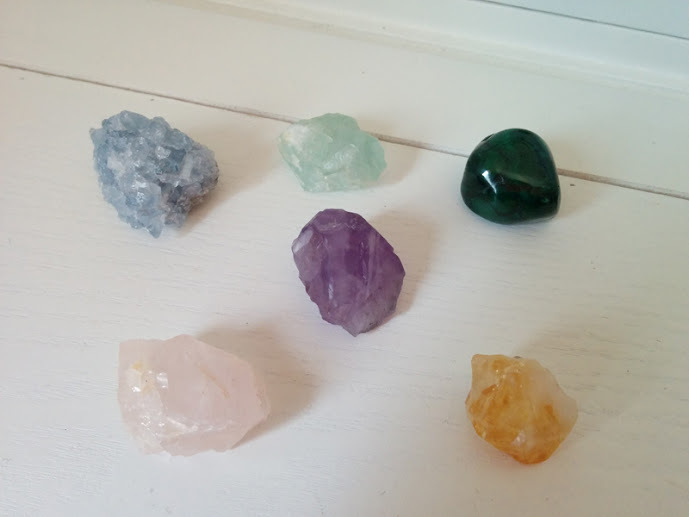 I said in part 1 that I was planning to source the stones from Etsy, but I decided against that because I really needed to pick out the stones myself. Surprisingly, it was not easy to find a store in NYC that sold knob-sized stones for a decent price and that let you actually choose the perfect stone among all the specimens. Luckily, I found Rock Star Crystals and it was the perfect store to source the stones for this project! If you live in NYC and love druzys, stones, and crystals, I highly recommend them! It's a small shop located on the second floor, but it's packed with stones, gemstones, and crystals. Most of the stones are out in the open for you to handle, and the prices are more reasonable than some of the other places I've been to. Next, I had to source the knob bases for the stones. I tried Home Depot first, but they only had finished knobs. Thus I had to turn to online sources. After comparing prices from several online hardware sellers, I bought my knob bases from a store on Etsy called Flying Toad Glass. 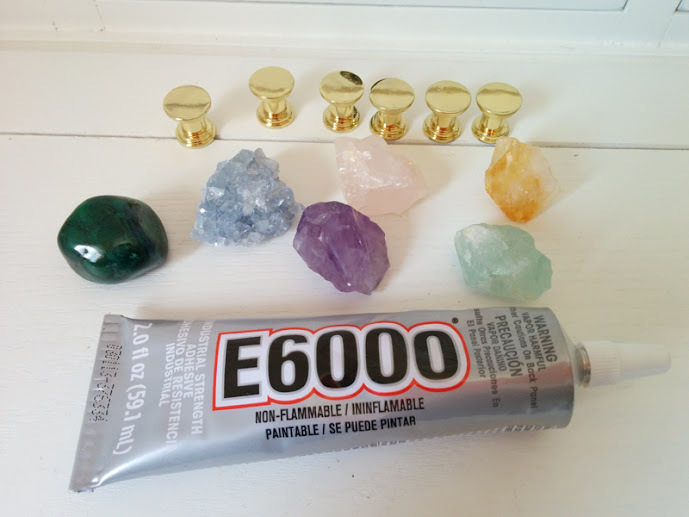 The glue I used was E6000 which is an industrial strength adhesive that works on most surfaces. Gluing the stones onto the knobs was fairly easy. Since I got to choose all of my stones, I tried to choose ones that had a fairly flat surface on some part of the stone so that I didn't have too much difficulty when it came to gluing the stones to the base. Still, naturally there would be some crevices that needed to be filled with glue and I did a second look at each knob to make sure I filled in any big gaps. Also, E6000 is completely clear, so I didn't have to be precise at all when it came to the gluing. When I was satisfied with the amount of adhesion on the knobs, I let the glue cure for 48 hours. For the bottom large drawer, I didn't want to do stones. 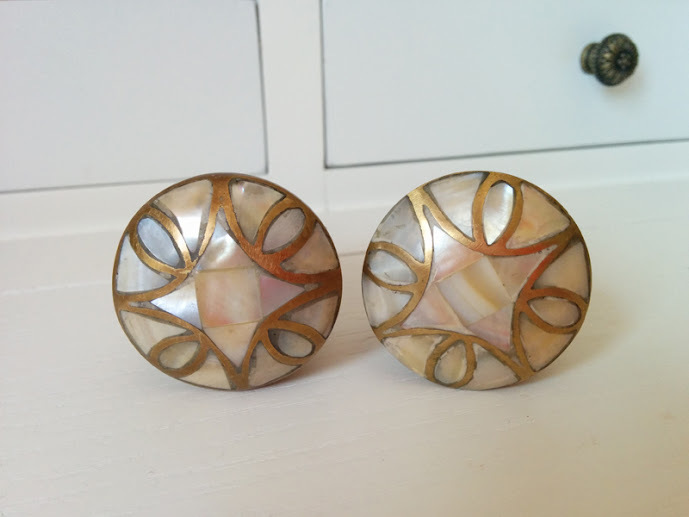 Instead, I opted for these mother of pearl knobs from Anthropologie. I thought they added a vintage vibe to the vanity, but were also glamorous because of the mother of pearl. Although I'm happy with the knobs themselves, I'm not quite happy with how the colors are translating together as a whole! I know the malachite is the odd ball out, but it also looks the best against the white. 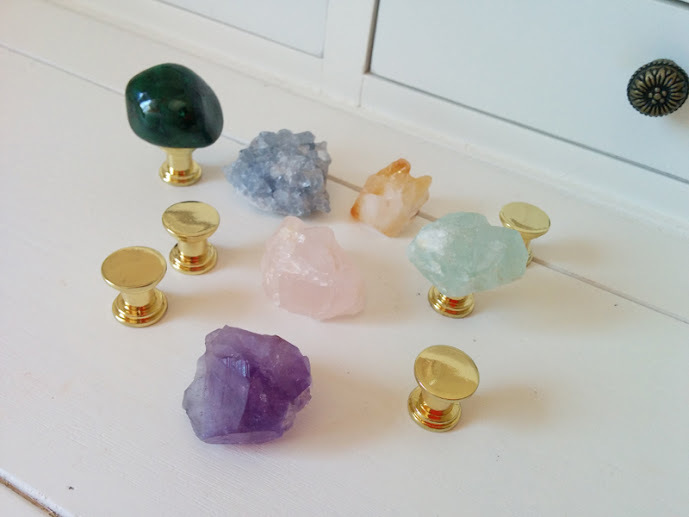 I might in the future replace the flourite, rose quartz, and citrine knobs with darker stones. I do like how the the entire vanity's feel has changed from generic and standard, to eclectic and vintage. 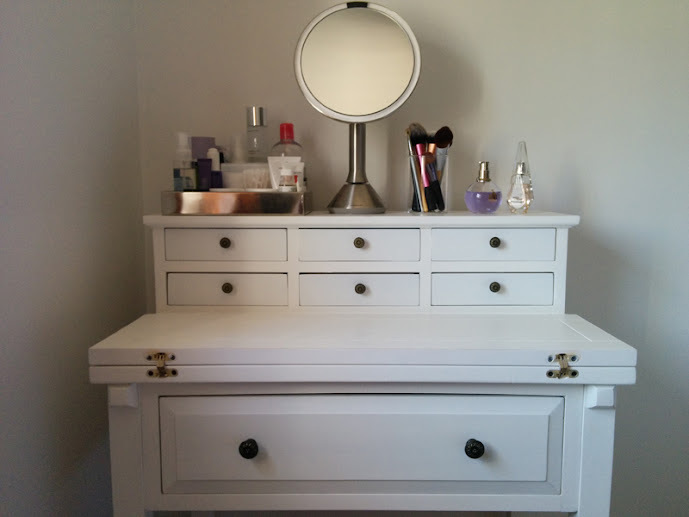 I wanted the vanity to look like a piece of furniture that wasn't straight out of the factory, and I think it has that look now with the mismatched knobs. Next on my DIY list? Watercolor art prints for the living room made by yours truly! Wow! I love it. It looks like the desk had a new life.